Get educated on wine and beer and learn how to make amazing cocktails from the experts. There will be grand tastings at the Hilton’s waterfront park, bartender/chef food pairing challenges, trade seminars and entertainment. 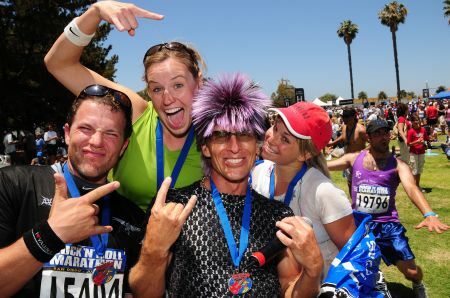 This is one of San Diego’s biggest events with more than 20,000 runners and 100,000 spectators. The 26.2 mile marathon benefits the leukemia and lymphoma society and features live music lining the streets, cheer squads and a huge post-marathon concert. This year, the race route will feature more than 9 miles along San Diego’s scenic waterfront, include a stretch through PETCO Park and a 13.1-mile half marathon. Soak up summer fun at this all-county fair. Thousands of people visit this fair every year for the rides, contests, merchandise, art, shows, games and of course fair food! Come see this Grammy award-winning British singer/songwriter whose unique sound has captivated audiences everywhere. She also has one of the largest online profiles with over 7 million YouTube hits on her standout single, “Hide and Seek”. Every year, the popular rock band, Switchfoot, puts on a surf contest that benefits local chapters of Stand Up for Kids which aids homeless and street kids. 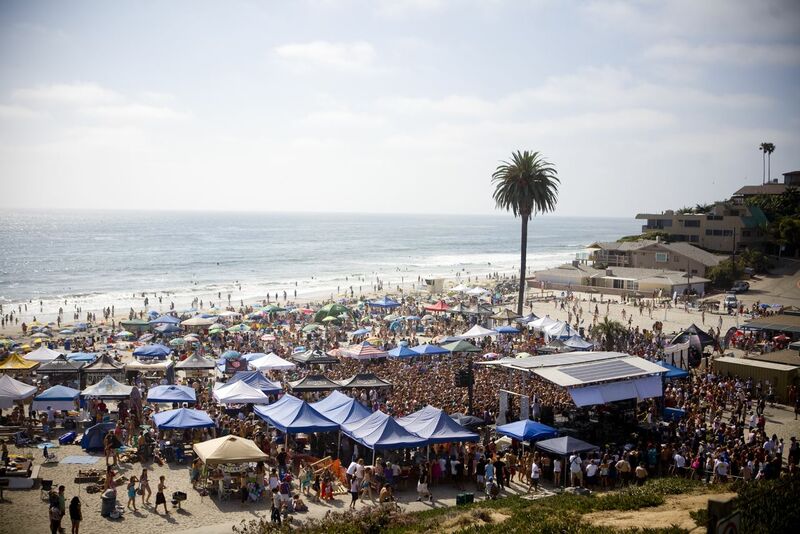 Slap on some sunscreen and enjoy free concerts, beach vendors, live mural art, sand volleyball and great surf! If you’ve ever visited Ocean Beach, you know it’s a funky little beach town filled with unique shops on the main drag (Newport Street) and eclectic culture that is all it’s own. This free festival is a community tradition complete with 5 music stages, art, food and vendors. Take a dinner and fireworks cruise this fourth of July! Two-and-a-half hours cruising aboard a fine dining vessel which features 25 scenic miles of San Diego’s skyline. Includes a three-course dinner, cocktail, entertainment and fireworks show! Some call it a nerd fest, others think it’s pretty awesome and still others say it’s a great people watching opportunity as attendees dress up in crazy costumes. This event showcases comic books, science fiction/fantasy film and TV, video games, collectibles, novels, celebrity appearances and speakers. It’s the largest convention in Western Hemisphere filling the San Diego Convention Center to capacity with over 125,000 attendees. The top 10 finalists of this past season are hitting the road for a summer tour. A unique chance to see your favorite idols up close! Come watch the monthly IMAX planetarium show, “Sky Tonight” at the Fleet Science Center’s space theatre. Then at dusk, the San Diego Astronomy Association (SDAA) sets up telescopes on the north side of the Fleet building for public sky viewing. Experts are there to help you locate different stars and planets and answer questions. Do You Know How Mission Valley Started? 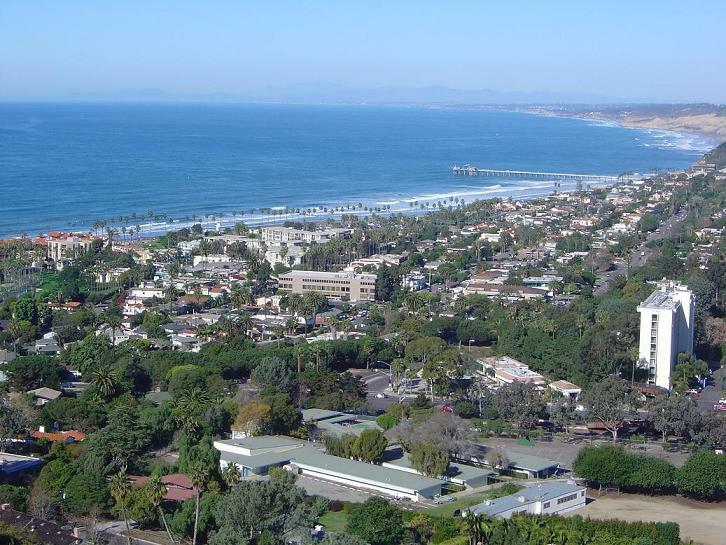 Mission Valley surrounds the San Diego River which originates in the Cuyamaca Mountains and empties into Dog Beach. It is named after the Mission San Diego de Alcala, the first mission to be built in San Diego, founded on July 16, 1769 by Father Junipero Serra. The mission was home to 1400 Kumeyaay Indians and was on 50,000 acres of land where they grew wheat, corn, barley, beans, grapes and other vegetables. There the Indians were taught about Christianity and new skills like soap making, sewing and cooking. After Mexico won its independence from Spain in 1810, the new country could not afford to keep the mission system running. With no money funding Mission San Diego de Alcala, it began to decline by the late 1820s. In 1846, it was sold to a private Mexican citizen and was used by the military from 1846-1862. After this period, the mission was given back to the church, but it was in ruins. Only 22 of the 50,000 acres were returned. 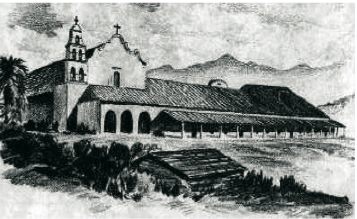 It wasn’t until 1931 that the mission was rebuilt and renovated to mirror what it looked like in 1813. It became an attraction for those interested in learning about California history. Twenty years later, in the early 1950s, city planners wanted Mission Valley developed as a recreational area providing a variety of shops and services that would appeal to both residents and tourists. Planners, developers and citizens all had their opinions on the direction this prized piece of real estate should take. In 1953, construction began on a grouping of hotels that was later named “Hotel Circle.” Now this exit off the 8 freeway is a popular place to stay in San Diego. In 1955, Westgate Park opened, which would be the new home for the San Diego Padres baseball team. Mission Valley was still the subject of controversy over the years as developers tried to figure out what they wanted to do with the land. Earlier generations had argued over whether San Diego should be a garden city or bustling commercial port. In the end, commercial investors won the battle to build a retail complex. In 1960, plans were completed by the May Co., a large department store chain, to build a mall in the valley. This later became Fashion Valley, one of San Diego’s premier shopping districts. Within a few years, restaurants, hotels, shops, businesses and residential complexes popped up all over the valley, transforming it into an important entertainment center for San Diego. Today Mission Valley remains a fun destination for shopping at both Fashion and Mission Valley malls and dining at delicious restaurants like Playa Grill. 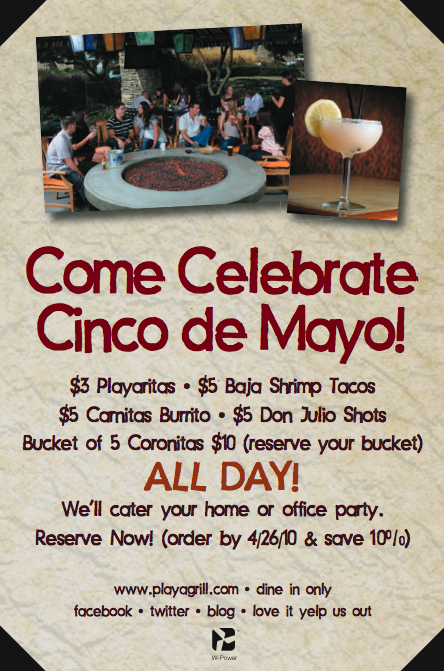 Contrary to popular belief, Cinco de Mayo is NOT the celebration of Mexico’s independence from Spain. Mexico’s independence day was on September 16, 1810. Cinco de Mayo is very important to the Mexican culture because it marks the victory of the Mexican Army over the French at the Battle of Puebla on May 5, 1862. This battle occurred 41 years after Mexico declared its independence and has come to symbolize Mexican unity and patriotism because Mexico was willing to defend itself from foreign intervention. After the Mexican-American war of 1846-48 Mexico was in a state of national crisis. They had struggled to be financially stable since they declared independence and had taken out many loans from nations including England, France and even Spain. Mexico was not able to pay back these loans. In 1861, President Benito Juarez issued a notice that all payback was to be suspended for two years with the promise that payments would resume as originally scheduled. England, Spain and France refused to agree to this plan. They decided to invade and take what was owed to them by using whatever means necessary. England and Spain ultimately withdrew their armies and accepted payment warrants but France would not give up. They had a goal to set up a French Empire in Mexico under Napoleon III. They invaded the country and headed towards the capital: Mexico City. In order to get there, they had to cross the state of Puebla. President Benito Juarez instructed General Ignazio Zaragoza to fortify the city of Puebla and prepare his 5,000 men against the 6,000 French. The Mexican army proved to be strong and defeated the French army in an enormous victory. What’s So Great About Mexican White Shrimp? Mexican White Shrimp are more delicate in flavor than brown or pink shrimp and are consistently higher in quality. In Mexico, the warm, nutrient rich waters create a healthy environment for ocean life. The free-range wild shrimp grow to be big and strong because they are constantly swimming throughout the gulf, which builds muscle. They are slightly sweet, extra firm in texture and taste very zesty and fresh. The Mexican Shrimp industry has instilled strict quality standards, exact sizing and true net weights. Also, the Mexican Shrimp Council has united with the Mexican government authorities to ban the use of antibiotics and chemicals in all harvested shrimp. Mexican White Shrimp are very low in cholestrol (on par with skinless poultry), beating out beef, lamb, cheese and eggs. A three-ounce serving has 18 grams of lean protein, zero saturated fat, zero carbs and only 80 calories. So next time you’re at Playa Grill and Margarita Bar, try out our zesty shrimp fajitas, our “Surf & Turf” filet mignon/shrimp combo or our shrimp tacos and taste the difference! Playa Grill has brand new sizzling fajitas made with organic, free-range meat, fresh peppers, tasty guac and warm tortillas. We know they’re delicious… but Playa Grill fajitas are more than just a savory dish. There are actually many other benefits to eating Playa Grill fajitas. FAH-eat-UH (n.) a Mexican dish that will excite your taste buds with flavor. 1. Eating one Playa Grill fajita a day will improve brain functioning, so don’t be surprised when you start giving witty comebacks and begin making multiple pop-culture and literary references at the drop of a hat. 2. If you’re having a bad day, eat a Playa Grill fajita. They increase red blood cell production, boost endorphins and therefore make you a happier person after each bite. 3. The nutrients in fajitas contribute to muscular/skeletal growth. You may find yourself looking down at your plate from a higher altitude after eating fajitas regularly. 4. Playa Grill fajitas improve circulation which gives skin a healthier, radiant glow so they make you a “hotter” person. 5. Playa Grill fajitas are known to give you great strength and tolerance, so if you’re downing more margaritas than you normally do, don’t be surprised. Just enjoy the ride. 6. After the Playa Grill margaritas and fajitas, you may be feeling especially flexible. Protein from fajita meat contributes to tendon and muscle flexibility almost instantly, so getting down on the dance floor won’t be a problem. Pull a James Brown, owwww! 7. Because of all these benefits you will become a much more likable person, hence more friends, hence more fun, hence a fuller and more fulfilling life! 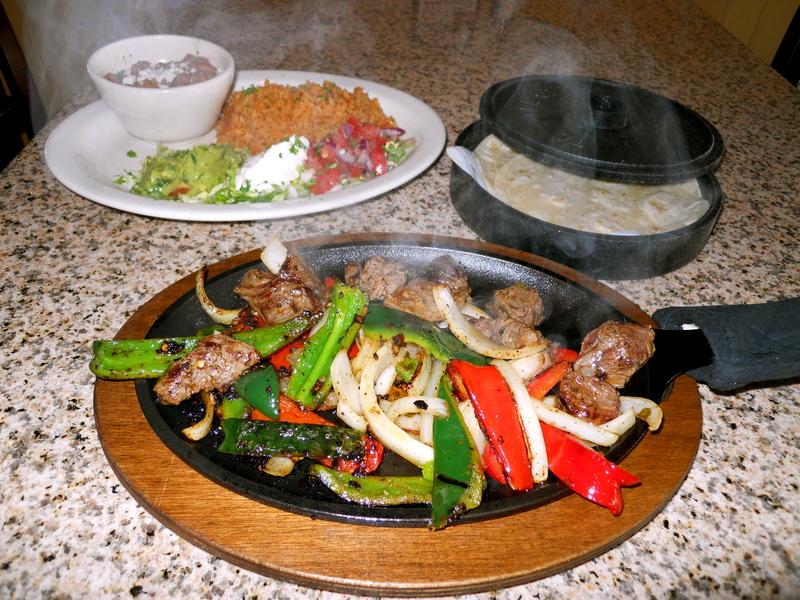 Playa Grill Fajitas just might be the answer you’ve been searching for to improve all of life’s little dilemmas. WARNING: The Surgeon General has not approved any of the above statements for mental and physical health, but invite your friends to join you and savor some Playa Grill Fajitas! They’re one of a kind. It’s that time of year again—baseball season! April 5th marked the first day of the 2010 season and the Padres are battling it out against Arizona and Colorado this week. You can watch any of the games at Playa Grill this season on one of our 10 flat screens. Come grab a cold one with us and let’s see if this year will finally be a breakthrough for the Pad Squad. 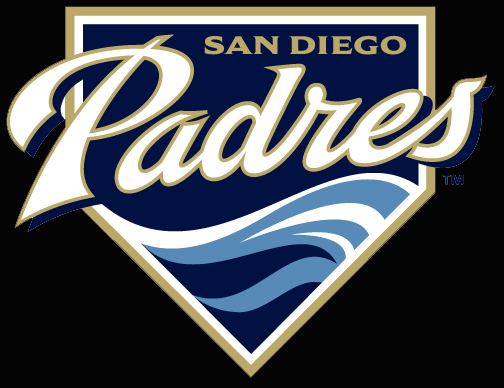 The Padres adopted their name from the Pacific Coast League which came to San Diego in 1936. The minor league franchise won the PCL title in 1937. The team was led by Ted Williams, baseball hall-of-famer, who was only 18 at the time. They joined the major leagues in 1969 as an expansion team. C. Arnoholt Smith was the original owner of the Padres. He was a distinguished San Diego businessman and former owner of the PCL. In 1974, the Padres were almost bought by Joseph Danzansky who wanted to move the team to Washington D.C. This created quite a buzz and new Washington uniforms were designed for the Padres in anticipation. C. Arnoholt Smith changed his mind about selling to Danzansky and instead sold to Ray Kroc, co-founder of McDonald’s. Kroc wanted to keep the Padres in San Diego, so here they stayed. In 1984, the Padres made their first World Series appearance, but did not win. In 1996, Ken Caminiti led the Padres to their first playoff appearance in 12 seasons. 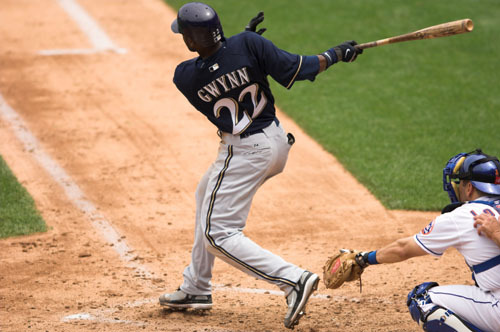 He won the NL MVP award later that year. In 1998, The Padres made their second World Series appearance but again did not win the series. Finally on April 8th, 2004, after sharing Qualcom Stadium with the Chargers from 1969 to 2003, the Padres played their first game in their beautiful new home–Petco Park in downtown San Diego. In 2005, the Padres won their fourth division title—National League West Champions. The next year they won their fifth division title. Who knows what 2010 will hold? San Diego is gearing up to cheer them on this season with new players and new hopes. 2010 could be our year. Go Padres!